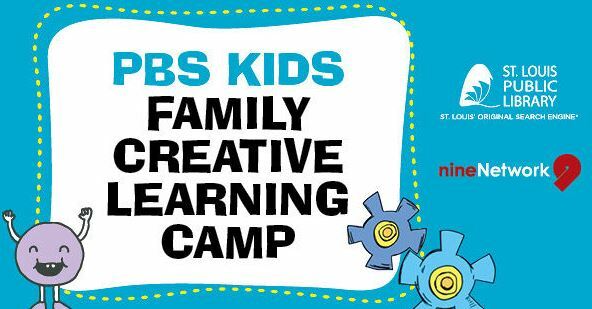 PBS Kids Family Creative Learning Camps engage families with children ages 3-8 in collaborative, interest-driven, and playful learning experiences that integrate PBS KIDS media and technology. These camps are designed to expand children’s science and literacy understanding as well as strengthen grown-ups’ ability to support their children’s learning. At each camp, families eat a meal together, explore a topic, investigate through hands-on projects, and share their experiences with other families and community members. Families who attend this weeklong camp receive free books, take-home activities, and a PBS KIDS Playtime pad. The PBS KIDS Playtime pad comes with 27 games and apps feature PBS characters such as Cat in the Hat, Daniel Tiger, Bob the Builder, Arthur the Aardvark, and others. Parental controls allow adults to customize the tablet, approving or blocking content and setting time limits. Visit a SLPL location for an application. Registration required. Limited space available. For more information click here or call 314-539-0384. The Ruff Ruffman Show camp combines hands-on, kid-friendly science with informational text literacy. Budding scientists will use science to explore concepts explained in the “Cat in the Hat Knows a Lot About That!” episodes.